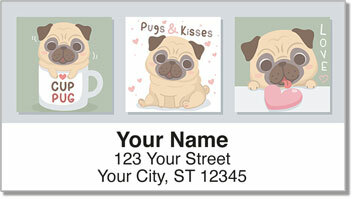 Add the perky pug's personality to your outgoing mail when you choose address labels featuring adorable illustrations of one of the most lovable dog breeds. They are attention-starved little pooches who stick by your side and follow you all over the house. 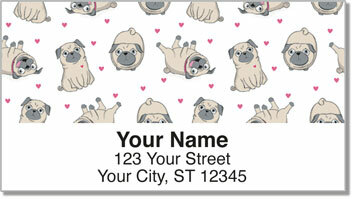 You've fallen in love with your pug, so let the world know by picking this doggie design! 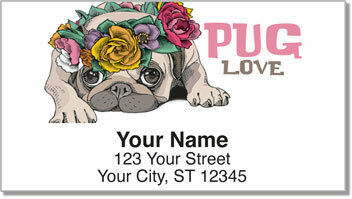 We know pugs can be somewhat demanding of your time. But the good new is these self-adhesive labels will eliminate the need to write out your return address on every envelope. Just peel and place. That means more moments with your pup! 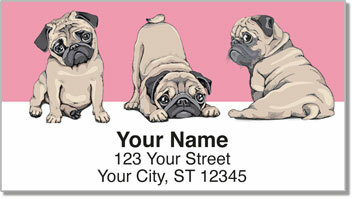 Get your very own Pug Address Labels from CheckAdvantage today! Make it a set when you also order matching checks.